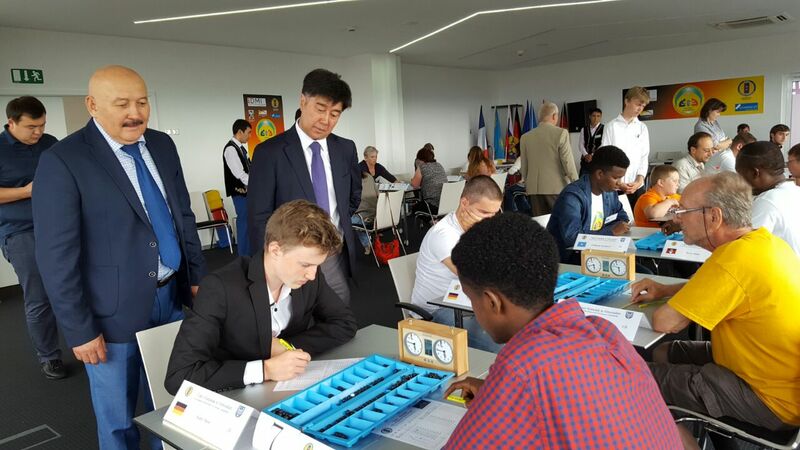 ASTANA – Players from more than 10 countries of the ancient Kazakh boardgame Togyzkumalak converged on Schweinfurt, Germany July 23 and 24 for the European Togyzkumalak championships. Togyzkumalak (from the Kazakh language – “nine pebbles”) is played on a board consisting oftwo rows of nine holes. The number nine has a high significance in the folk beliefs and mythology of Central Asian peoples. It was considered auspicious. There are also two parallel furrows called kazans (boilers) between these rows in the middle of the board to store the captures. The players own the kazan on the other half of the board. The holes are usually made in such a way that it is evident whether the contents are odd or even. “Togyzkumalak is one of the valuable contributions of the Kazakh people in world culture. This is not only an intellectual competition and cultural event, but also an opportunity to promote the national cultural heritage. This is one of the main objectives of the [International Federation for Togyzkumalak] since its inception,” said Federation President Alikhan Baimenov. 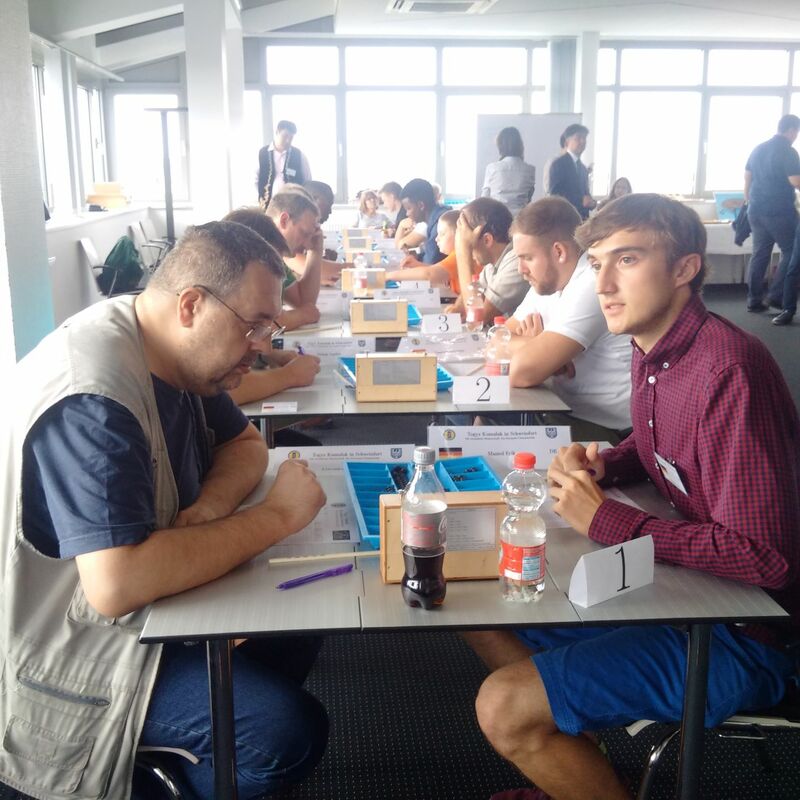 In this year’s competition, the national team of Kazakhstan helped male and female players from countries, including Germany, France, Greece, Switzerland, Spain, Russia and the Czech Republic hone their skills. Historically, the game was played in Kazakhstan, Kyrgyzstan, Tajikistan, Uzbekistan, Turkmenistan, among the Kyrgyz in north-eastern Afghanistan (Wakhan), parts of Russia (Altai, Khakassia, Sakha, Tartaria, Tuva), by the Kazakh minority in western Mongolia (Bayan Ölgii) and in north-western China (near Urumchi in Dzungaria). Since the fall of the Soviet Union, the game has gained popularity in Central Asia and more than 200,000 people play the game in Kazakhstan. The first tournament among Kazakhs was held in Almaty in 1948. The federation was founded in 2008 and has staged three world championships since 2009. The most recent international competition attracted players from 25 countries. In recent years, the Kazakh government has also supported the development of Togyzkumalak. Domestic entrepreneurs, such as Dinmukhamed Idrissov, Kenes Rakishev, Yerlan Ashim and others have also helped the federation to prepare for these competitions. The Chinese government has also expressed a desire to support the holding of the Asian Championship on Togyzkumalak. The opening ceremony of this year’s championship was attended by Baimenov, Chairman of the Committee for Sports and Physical Education of the Ministry of Culture and Sports of Kazakhstan Elsiyar Kanagatov and Mayor of Schweinfurt City Karl-Heinz Kauczok. Federation officials also discussed during the competition ways to boost the game’s popularity worldwide.